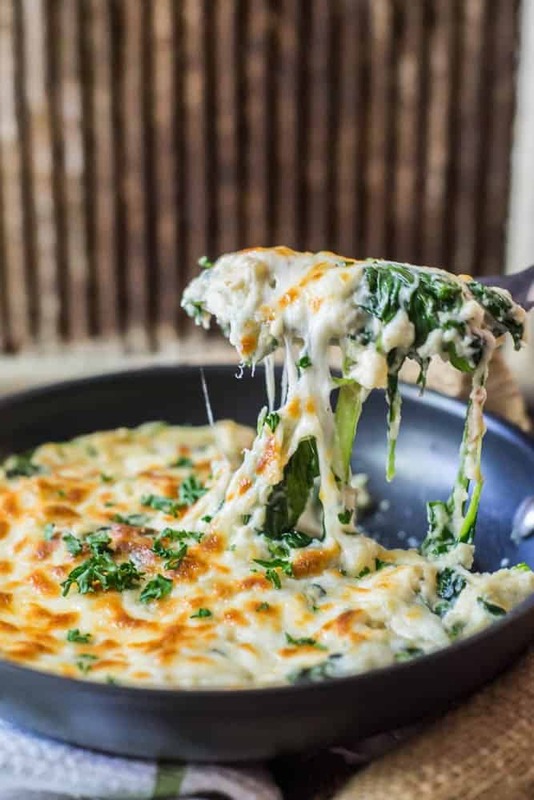 These thirty easy keto casserole recipes are going to save you on those days when you are super busy and need something to make in a pinch. 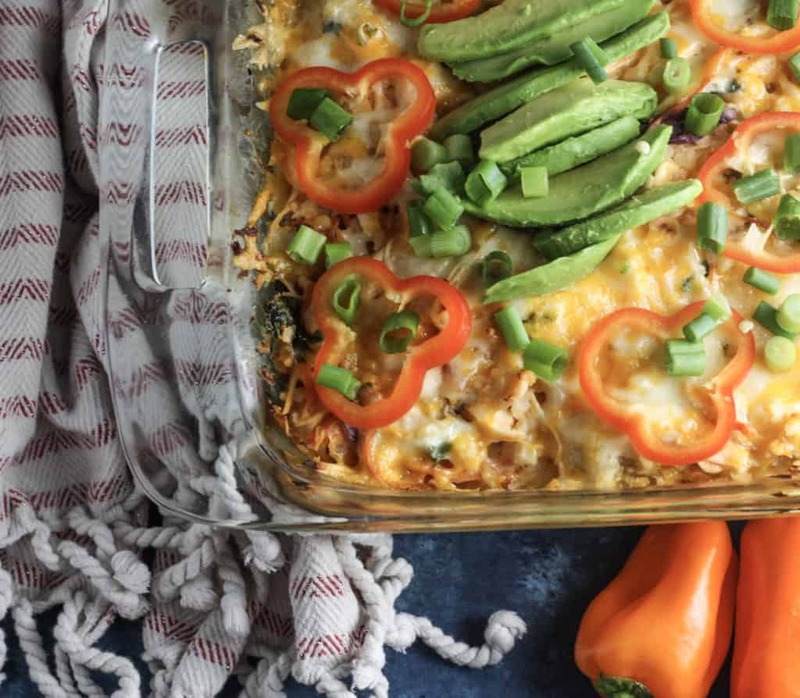 Just whip up one of these tasty keto casserole dishes for dinner, pop in the oven and you have a lovely homemade meal, all while keeping your diet! Casseroles are the way to go for ease and convenience. Keeping everything simple is really going help you on your keto journey because you’ll be more likely to stick to your diet. 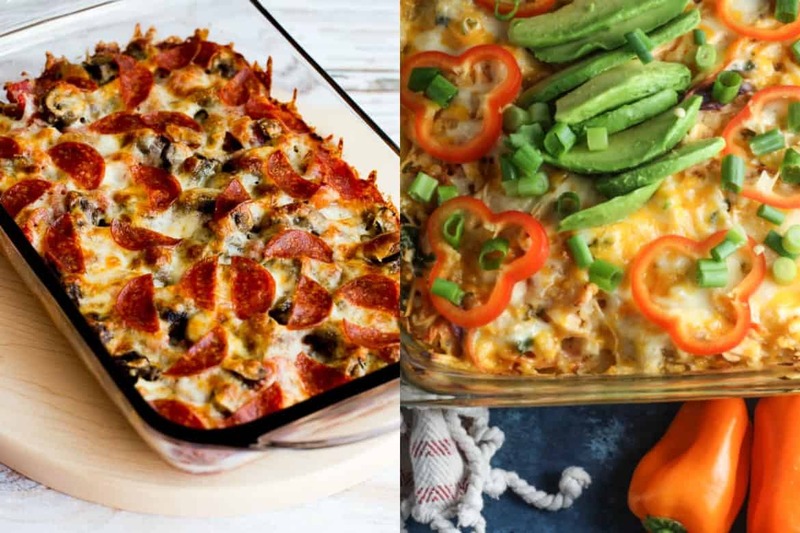 Let me know below how all these yummy keto casseroles below worked out for you!! It has 120 AMAZING recipes with 5 net carbs or less!!! 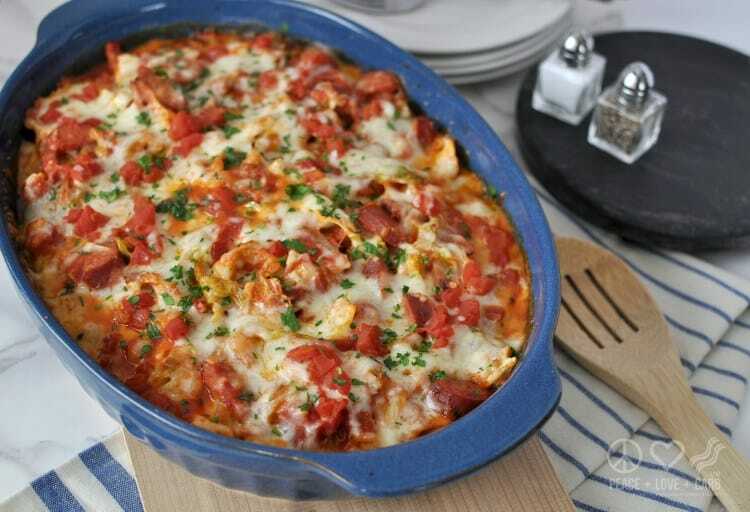 If you’re a fan of buffalo chicken wings and spicy food, this casserole will really hit the spot. This dish is a such a crowd pleaser and a perfect substitution for wings on game day or at gatherings. If you’ve been eating keto for awhile, you know there are so many different inventive ways to to incorporate cauliflower in your meals. 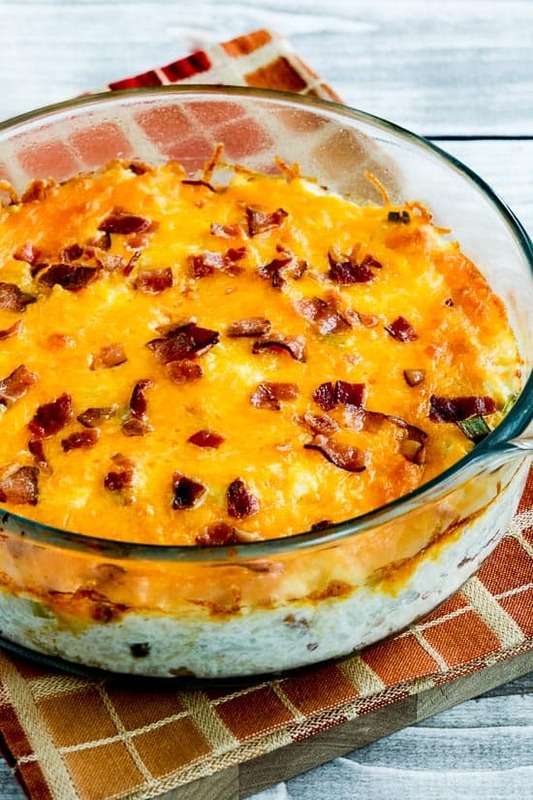 With this delicious cheesy and ham filled casserole you won’t even miss the potatoes! You may notice a lot of recipes from this post are from Kalyn’s Kitchen. She has amazing recipes that are easy to make and is one of my favorite keto bloggers! Be sure to check her out! Don’t forget to follow my Keto Recipes Board on Pinterest for the BEST ketogenic recipes!! Casseroles are awesome because you can prep them ahead a time and then pop them in the oven when you get home. This casserole only takes ten minutes to prep and cooks in about 35 minutes, making it such a fast and easy go to weekday meal. Sausage and cabbage pair perfectly together and this casserole makes for such a delicious dinner! The ingredients are very basic and cost effective, so if you are cooking for lots of people, this casserole is a must make meal. With this dish you’ll definitely forget you’re on a diet all together! Who would have thought you could eat something with bacon and ranch in the title and still lose weight? Luckily, you can! She even gives you homemade keto ranch recipe that only takes five minutes to make! This ranch is fabulous in this recipe or on a salad! 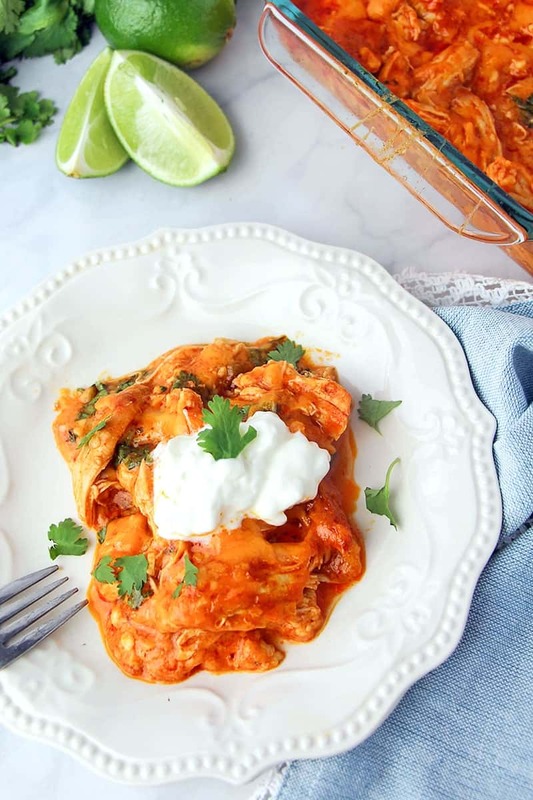 The best part of enchiladas is not the tortilla, but the cheesy chicken filling and delicious sauce. Honestly, you won’t even miss the tortillas in this dish because it is so good. 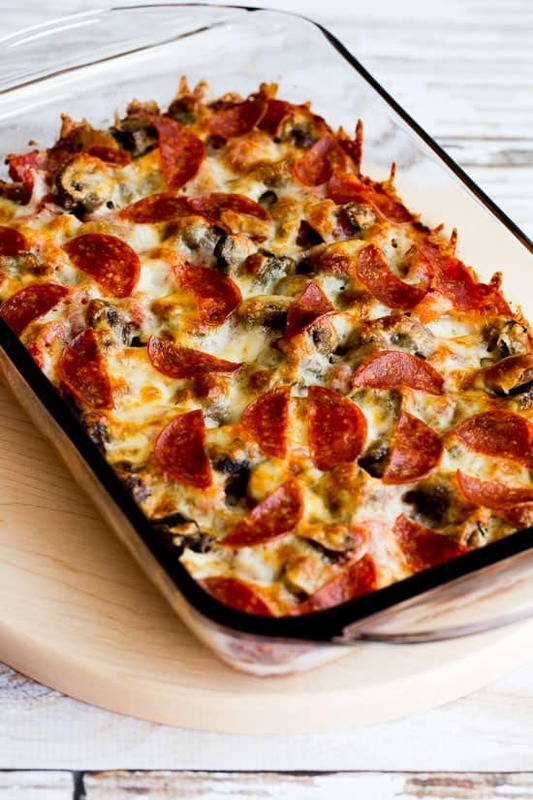 Pizza in casserole form? Yes, it is amazing as it sounds. 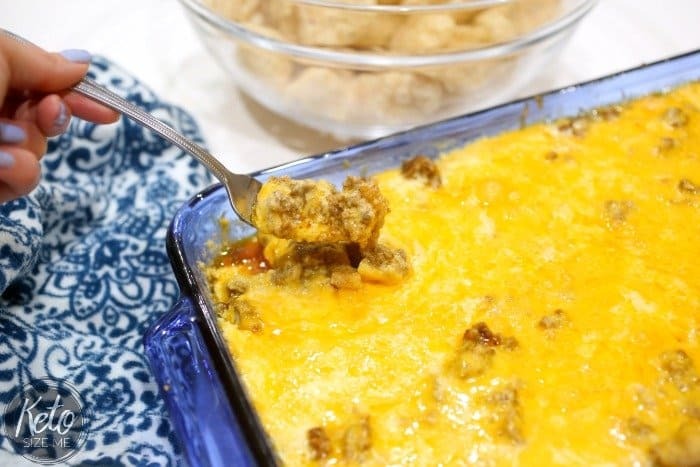 This is one of my favorite keto casseroles I’ve tried so far and one I make over and over again. 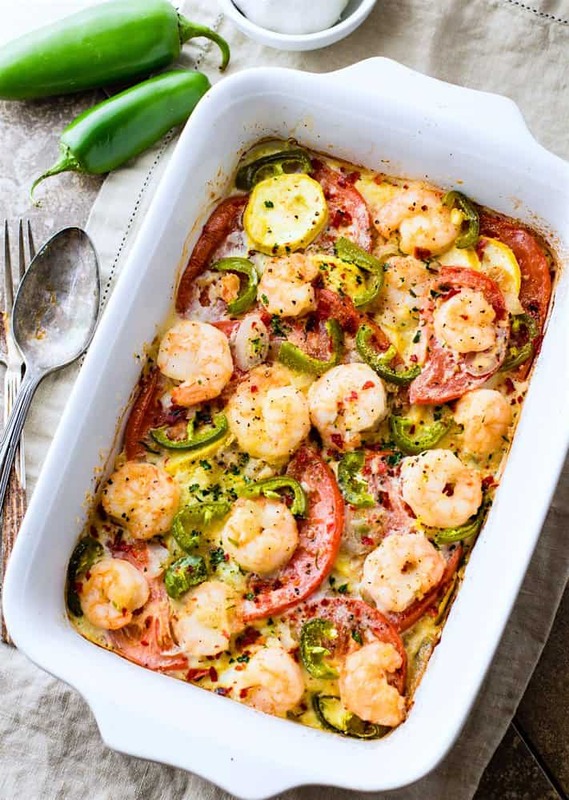 I’m a shrimp fanatic and I hardly ever see shrimp bake or casserole recipes and am so excited to try this one. The jalapenos give this dish a nice kick! 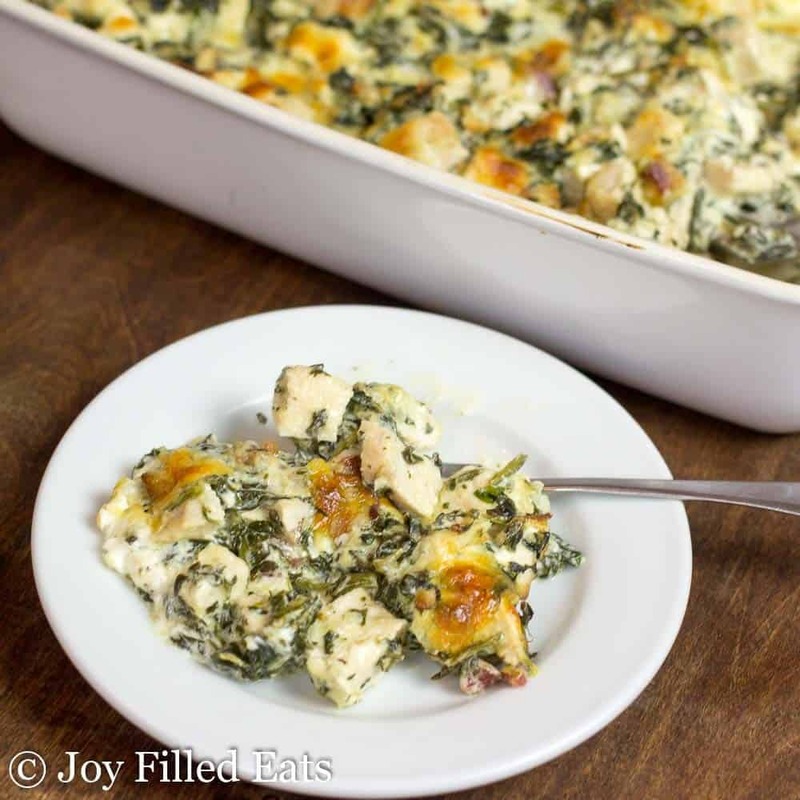 This casserole boasts only 4.3 net carbs per serving, now that’s impressive! 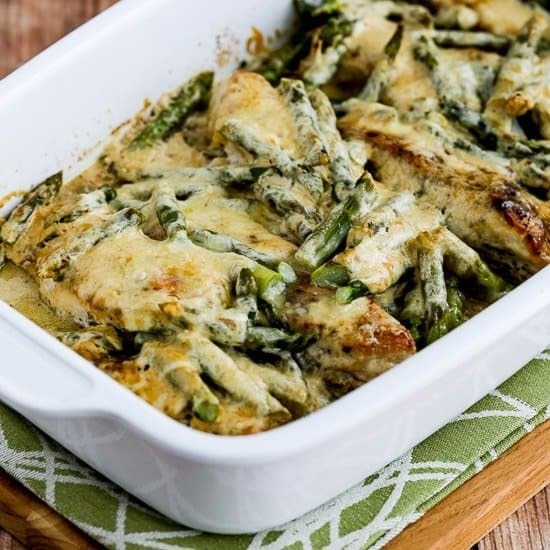 Everyone will go crazy for this creamy spinach and artichoke chicken. 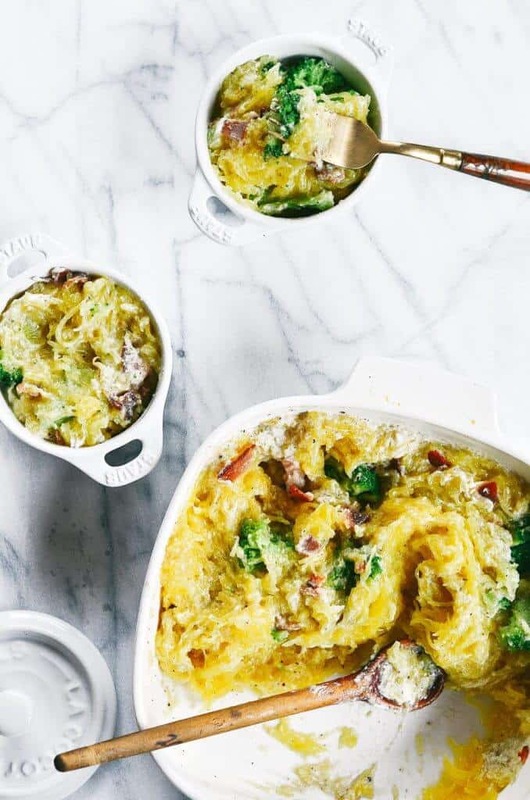 Spaghetti squash is a great alternative to carb filled pasta. This dish is so tasty, it will be hard for you not to go back for seconds. 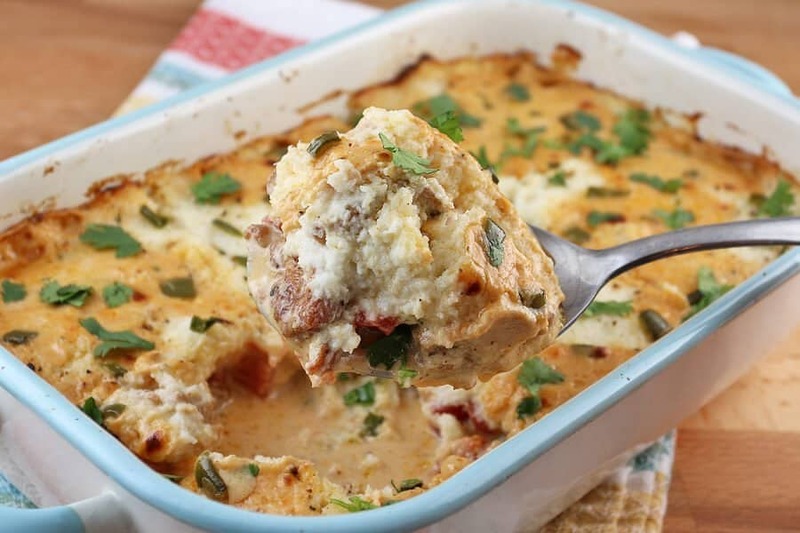 Quick Tip: Keto casseroles don’t make just tasty dinners, they are great for lunches too! Take leftovers the next day for lunch or meal prep an entire casserole and get multiple days of lunches out of it! These meal prep containers are my fav! 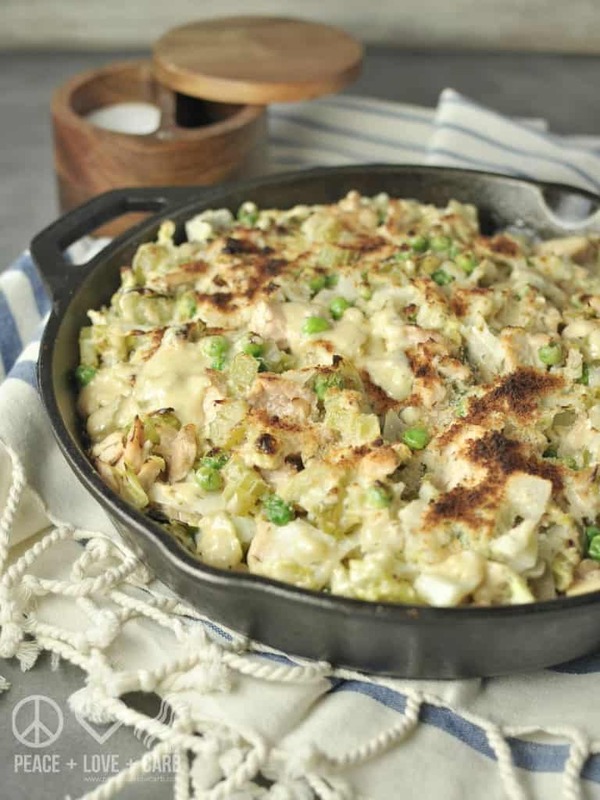 Traditional cordon bleu recipes can be a little tricky to make, not so with this casserole. The creamy dijon sauce really makes this dish! Asparagus is really healthy because it is packed full of folate and vitamins. It tastes delicious with chicken and cheese and not just one type of cheese, but three! Ditch the pasta in your lasagna and opt for low carb strips of zucchini instead, genius! An egg quiche is great not only for breakfast, but makes for a wonderful dinner as well. The Pioneer Woman always uses leftover ham in her quiche, which is a creative way to use leftovers. 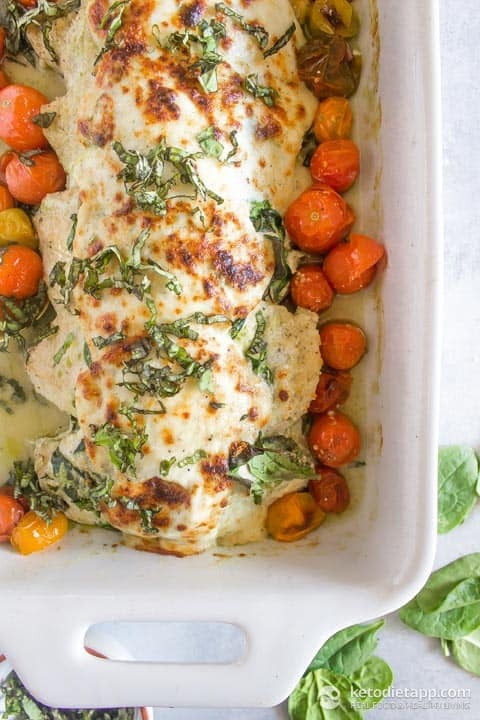 If you are a fan of caprese salad, you’re going love this chicken casserole. Because really with pesto and a host of fresh ingredients, what’s not to love? If you’re looking for something keto friendly to serve on taco Tuesday, this recipe fits the bill. Trust me, you won’t even miss the crunchy carb loaded taco shell because she included a secret ingredient to give you that crunch. 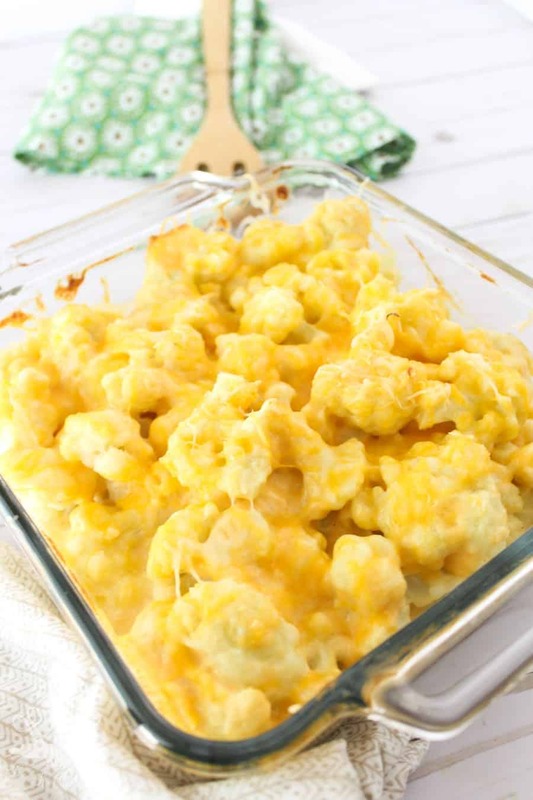 I’ve seen so many keto cauliflower recipes, but this one looks out of this world delicious. Just look at the strings of gooey cheese in that picture, enough said lol. Every since I started keto, brussel sprouts have been kind of my thing. Brussel sprouts alone are delish, so I can’t even imagine them in a creamy cheese sauce with bacon, YUM! You won’t even miss the carby pasta in this dish because the cabbage is such a good replacement. Using canned tuna makes this a very budget friendly meal. While I love twice baked potatoes, they aren’t allowed on keto…tear. But, these are so insanely cheesy and yummy, I don’t even feel like I’m missing out! Everyone loves a good philly cheesesteak, now you can enjoy one whenever you want. This meal is so hearty, you will definitely fell satisfied. This Southwestern style dish will leave you wanting more. This casserole will help you with your reach your fat macros for the day, each serving is around 32 grams of fat. Don’t you just love having breakfast for dinner? This bake is a great way to get in some extra veggies. This recipe is made up of simple ingredients, names that you can actually pronounce. This always makes for the best meals. Nothing super fancy here, just solid and tasty food. Related: 20 Quick Keto Dinners: READY IN 30 MINUTES OR LESS!! A great way to sneak broccoli into your diet. Hearty and filling, this casserole is sure to please. Keto friendly, dairy free and totally nourishing. A great mix of veggies and protein. A keto friendly taste of India. Enjoy! All the greatness of mac ‘n’ cheese with none of the guilt. Cauliflower makes and excellent keto substitute for this timeless classic. Loaded with green beans with the delicious taste of parmesan cheese. Think you can’t enjoy chili dogs on keto. Think again. This casserole will make you forget all about the bun as you chow down. 1. Casseroles are easy to make, but there are also a TON of easy keto recipes to make out there as well. Don’t stop at casseroles, there are so many keto recipes out there for you to try! 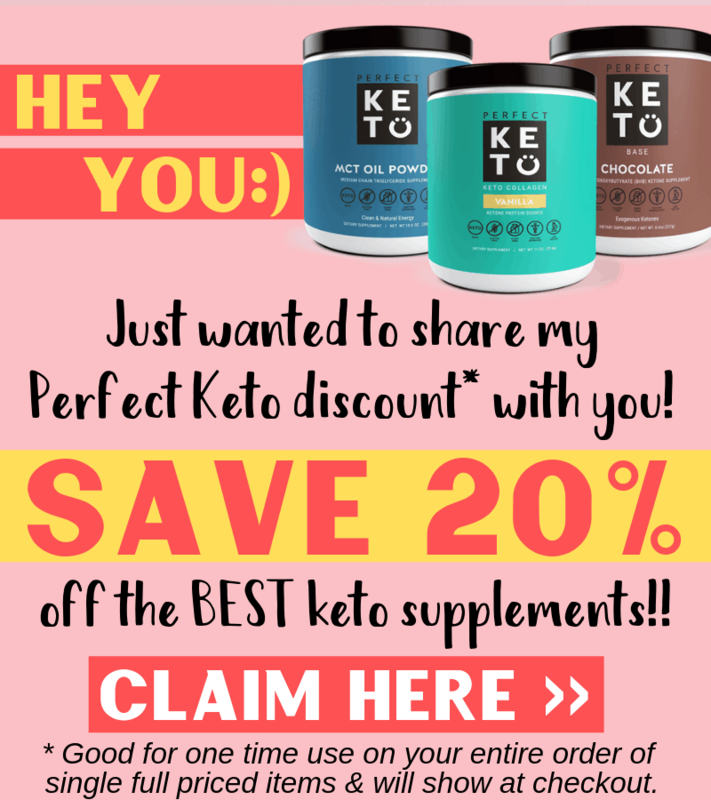 Lately I’ve been obsessed with this Keto eCookbook bundle! It has 120 easy recipes with only 5 net carbs!! Check it out if you need more delish keto ideas for breakfast, lunch, dinner & dessert!! 2. Customize these casseroles to your taste. Don’t discount a recipe just because it uses a certain type of meat or veggie you don’t like. Within reason, you can make substitutions to some of these dishes and they will still turn out great! 3. Prep your casseroles ahead of time the night before. When I used to have a regular 9-5, I loved prepping casseroles ahead of time. That way when I got home, all I had to do was pop it in the oven. While it was cooking I would unwind or get stuff done. 4. Casseroles are a great way to sneak in some veggies. If you or someone you cook for is not a huge fan of vegetables, casseroles are one of the best ways to sneak them in without anyone noticing. Cooked spinach, spaghetti squash, zucchini, and other veggies can easily be masked within a casserole. I’ll let you in a little secret, I hate zucchini. I have since I was a child and out of all the veggies I disliked when I was younger, zucchini is the only one I still hate. But chopped up zucchini in a casserole is something I can eat because I don’t even taste it with all the sauce and cheese! 5. Try a new casserole each week. It’s easy to have our go to favorites, but having a little variety is fun! 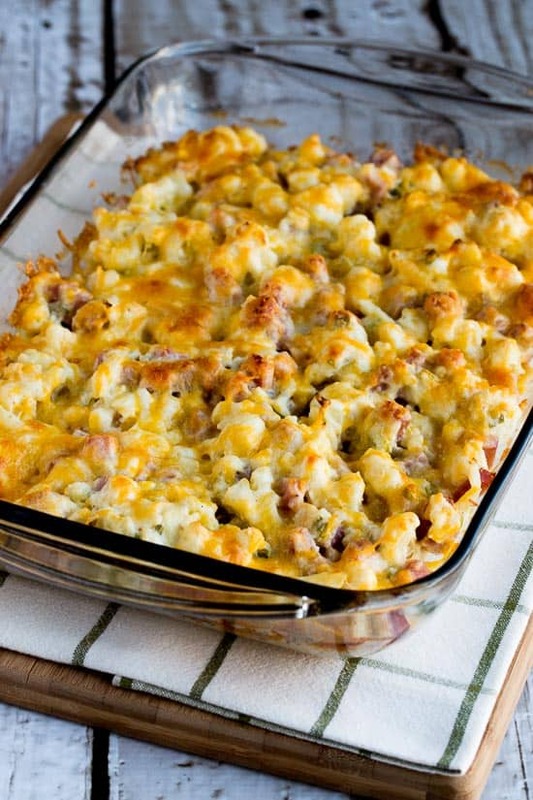 There are so many tasty casseroles on this list, don’t just try one, try a bunch! 6. Casseroles make great lunches too! We always think of casseroles as something we eat for dinner, but I love making casseroles as an easy meal prep. These are my favorite meal prep containers! They’re great for packing leftovers for work! If you’re looking for some great keto snacks to take to work (or while you’re out and about), below are some great grab and go snack options!! Great for when you need a quick snack fast! Stash in your desk at work, car or purse! All snacks are low in net carbs. Thanks for the nice shout-out for my blog! Will pin and share your post! You are so welcome Kalyn and thanks for the share! I just made your deconstructed pizza casserole and it was really good. Love your blog and can’t wait to try your other recipes! wait to try them all. They look and sound great. Glad you liked them! Let me know how they turned out! WOW These look delicious and satisfying. 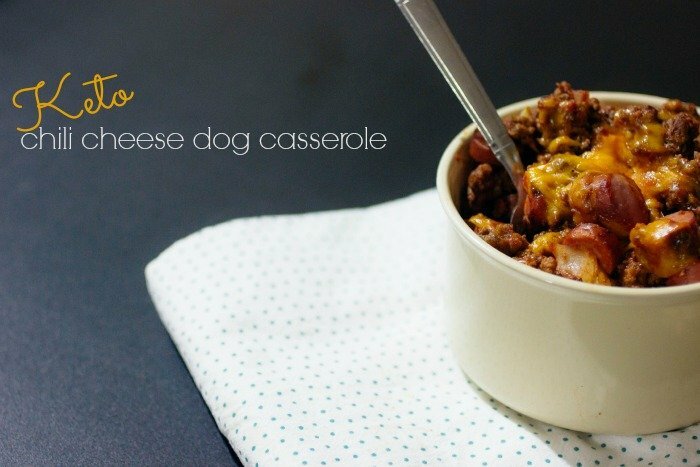 I will definitely be making quite a few of these casseroles. Thank you so much for sharing. Just read these and I agree, they sound yummy, as well as if they’ll be satisfying. Can’t wait to try them! Just found these. Can’t wait to start cooking. Hey Rita. Let me know how they turned out! Hope you’re having a great week so far! Well I am new to this whole Keto diet. Afraid I would gain weight on these. I’ve been trying to find some Keto casseroles that are easy and simple, and these are the best ones I’ve come across! I can’t wait to start making these. And there is enough recipes here to not get bored with any of them! The best part about enchiladas is the corn and chili flavor combination. I’ve been looking for casserole recipes all in one spot. It’s terribly difficult making dinner for me and something different for the hubs when you have 2 jobs. Making casseroles gives me several servings to pack for work etc. And yes Kayln is the bomb. I’ve been subscribing to her for quite a while! Hey Rita. Yeah, casseroles are awesome for meal prep. Wow! Sounds like you have a lot on your plate, my hats off to you for working two jobs and cooking for everyone. Yeah, Kalyn is my favorite too, anything I make from her is always really good. Have a good weekend. I also dislike zucchini and, frankly, all summer and winter squashes. I will do summer squash if it’s cooked and seasoned to my liking. Grilled zucchini spears with lemon are fantastic. Hi Bernie. That’s funny I hate zucchini too, but don’t mind it boiled in soups and like it grilled as well. I’ll have to try lemon on grilled zucchini, that sounds great! I couldn’t pull up ur product & prices. Plz send me more info. Include pricing. Ty, Alisa from WV.